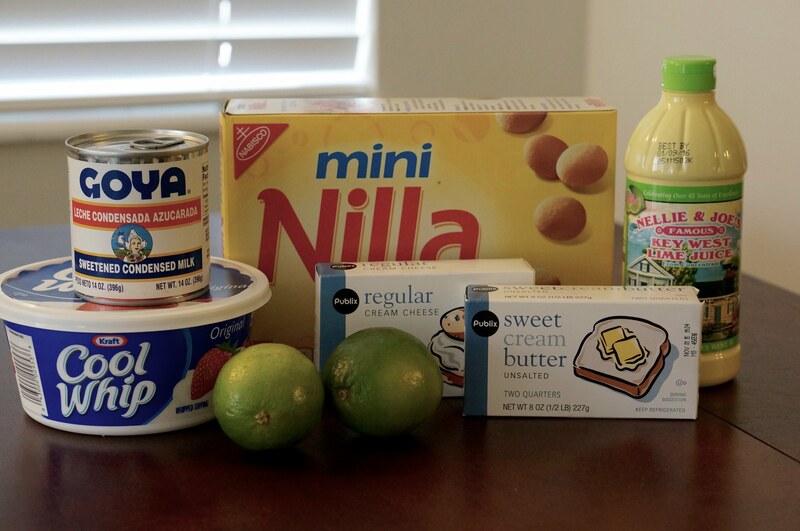 I decided that it is WAY too hot outside to turn on the oven, so I am turning to some no-bake pinterest ideas for the next couple weeks. 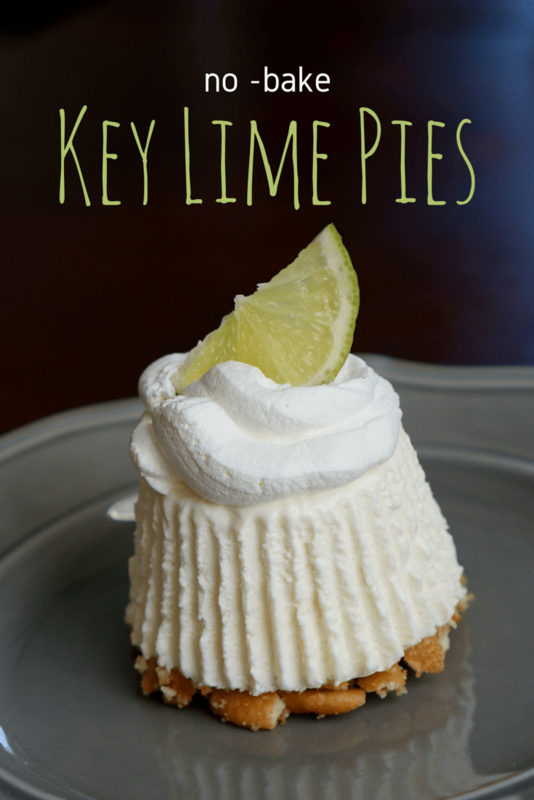 I have seen this pin floating around Pinterest showing how to make easy delicious no-bake mini keylime pies. I loved how instead of traditional pies or regular cupcakes, she turned the cupcakes upside down! 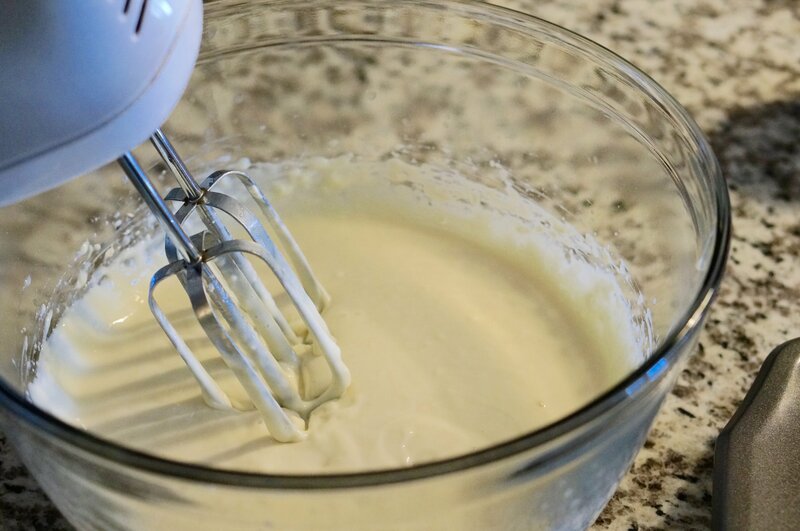 1) Use a hand mixer to combine cream cheese, sweetened condensed milk, and key lime juice in a large bowl. 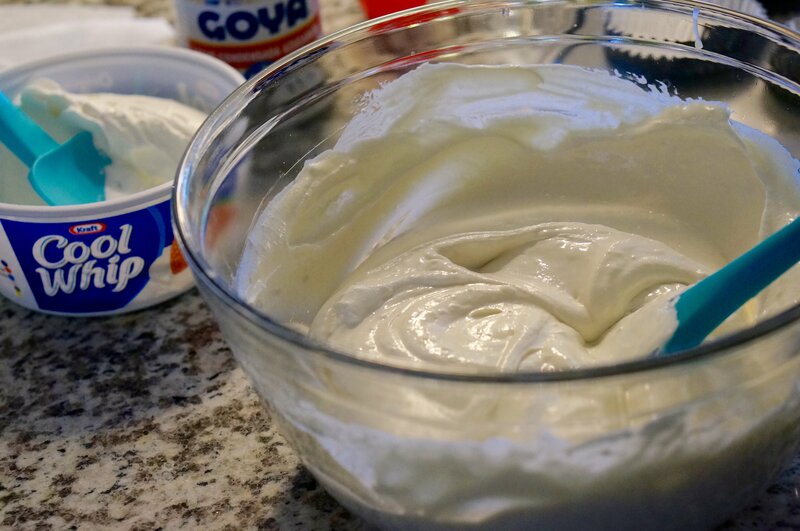 2) Fold in 4 oz (half container) of cool whip. Taste test and add more if you want it sweeter. 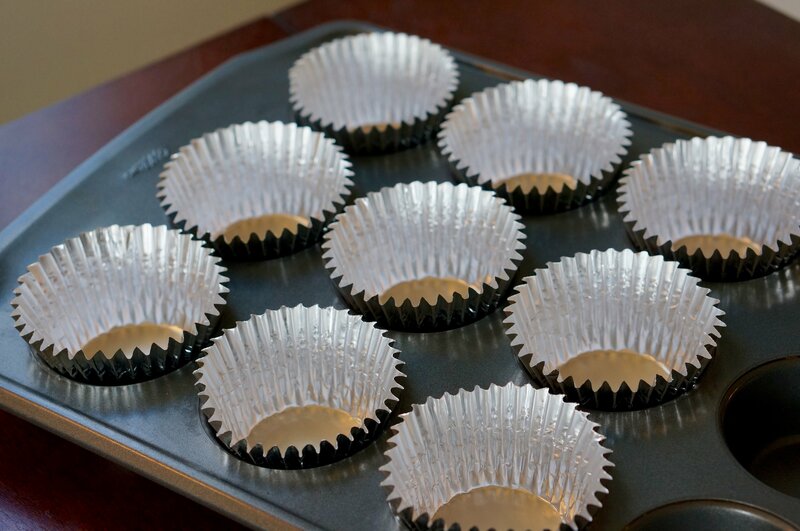 3) Place tin foil liners in cupcake pan (it will probably work on a cookie sheet as well, but it is easier to transport keeps its shape best in a cupcake pan). 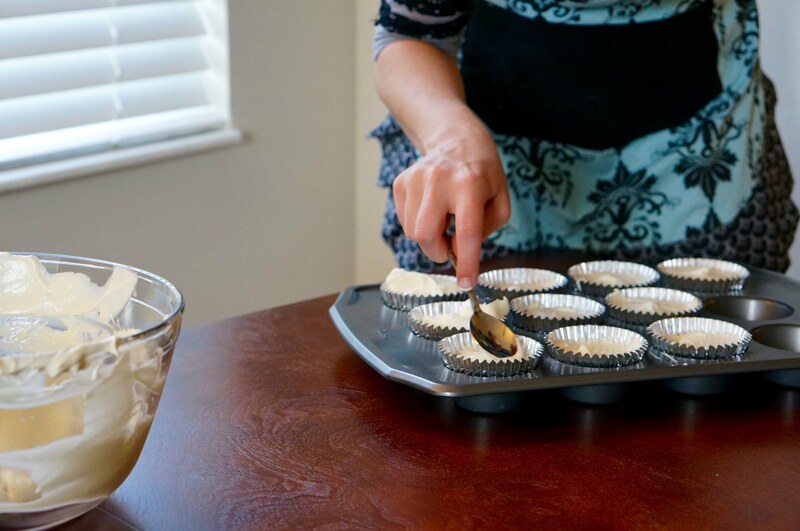 You can also use silicon cupcake liners, but do NOT use paper liners. Paper liners will stick to your pie and will not hold shape in the freezer. 4) Pour pie filling into cupcake liners. Fill almost all the way to the top (leaving just enough room for a layer of crust). 5) Put about 3 cups of vanilla wafers into a bag and crush them. Next pour the vanilla wafer crumbs into a bowl and add a 1/2 stick of melted butter and mix. 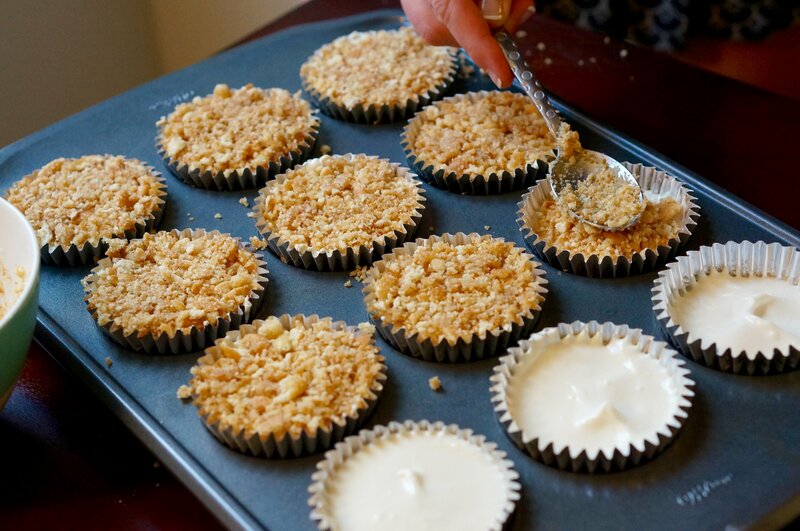 6) Place the wafer crumbs on top of the cupcake liners. Make sure that you fill all the way to the top and then use a spoon to pack them down. 7) Let them sit in freezer for at least 4-5 hours (overnight is best). Once they have hardened, take them out of the freezer and remove cupcake liner and flip upside down. 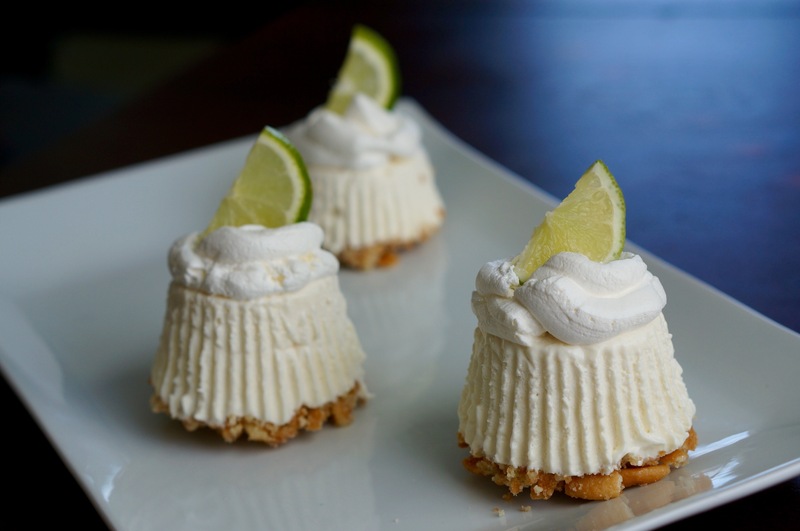 (see this video for best technique) Top with cool whip and garnish with lime or key lime! Enjoy! If you make them be sure to share them on my Facebook page!